This hunting game is not just another point and shoot. The reason lies within the innovative sensors on the new Top Shot Fearmaster controller (Xbox 360 and PS3 only). Not only do the sensors measure stability as you play, they also measure your heart-rate. The higher your heart-rate is, the harder the game is to play. Effectively the game is challenging you to stay calm, but it won’t make it easy for you. 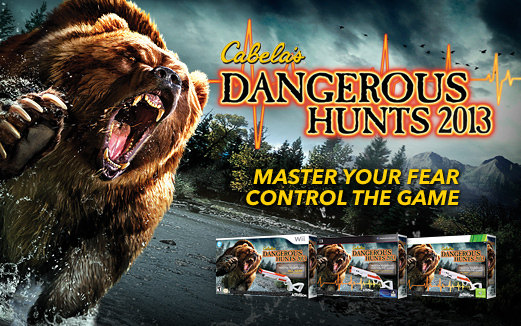 A variety of dangerous animals and scenarios test your nerve and reactions. Luckily the all-new Maneater multi-player mode lets your buddy back you up!